I’m very excited to have some fabulous guest bloggers this week sharing summer essentials for their favorite travel destinations. Next up is Katie of House Rules and she is sharing all of her Bermuda essentials from day to night; welcome Katie! I’m a longtime fan of the eye candy on DomestiKatedLife—and after moving to Boston last summer, I learned Kate is equally delightful in person. I was thrilled when she asked me to share one of my favorite summer spots while she’s off on her own weekend getaway. If there’s a heaven, it looks like Bermuda. Think: pink sand, watercolor houses, and clear blue waters. Days are laid back—moped rides, tennis, and lots of beach time—but prepare to dress up at night (i.e. blazers and ties for the guys). There’s something about scrubbing off the salt and sand and putting on a pretty dress that makes even the most standard cocktail hour feel particularly celebratory. I’ll cheers to that. Do: Start the day with a spirited game of doubles. After breakfast, hop on your moped and ride along the Hamilton Harbor. Park your bike at Elbow Beach and grab a snorkel—its one of the best places to spot fish (and an old shipwreck) on the island. If the afternoon is stormy, plan a trip to the Crystal Caves. Read: On my summer reading list: The Paris Wife, Hotel on the Corner of Bitter and Sweet, and Anthropology of an American Girl. Wear: By day, colorful bikinis, khaki shorts, and simple cover-ups are the rule—just make sure whatever you wear on your moped won’t stop traffic (ahem, miniskirts). I like carrying an unstructured beach bag so I can easily cram it in beneath my moped seat. Nighttime is decidedly more dressy on this British island—you can’t go wrong with bright, preppy cocktails dresses paired with Jack Rogers. Eat: I’m not a steak person but even I can’t resist the food Waterlot—especially the trufﬂed macaroni and cheese. Wear a roomy dress. Other favorites: Four Ways Inn (old school with great ﬁsh dishes), Hog Penny (pub grub), and Coral Beach (seafood and dancing on Thursdays). Sleep: The Reefs. Hello, paradise. 5 Responses to "Summer Essentials with House Rules"
I want that blue dress SO bad. Love love the color and details. Great post! 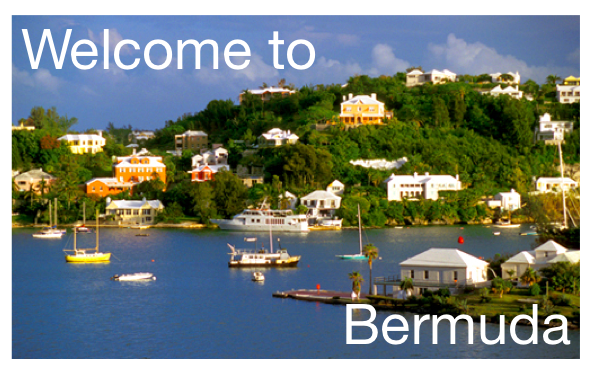 Loooove Bermuda. I spent a few days there several year’s ago for my bf’s sister’s wedding and it was beautiful! 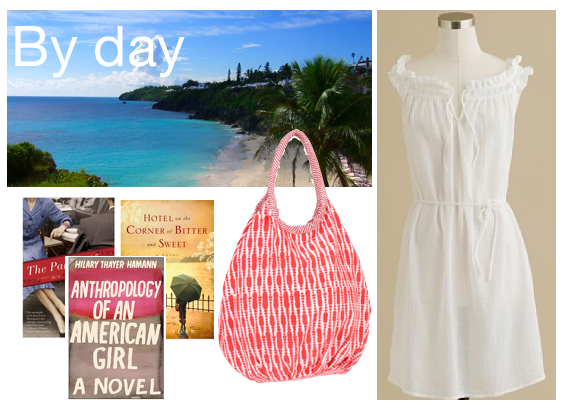 Give me a dark and stormy and the Bermuda pink sand beaches and I’m a happy girl. Love your nightime outfit! The accessories are fabulous!!! This sounds like an amazing spot to vacation! You had me at pink sand beaches. Thanks also for the book suggestions!